Today we are going to review a short video that goes through a great sequence of techniques that can be used in a self defense situation. Whats great is that this same set of techniques have been used at the very highest level of competition as well. 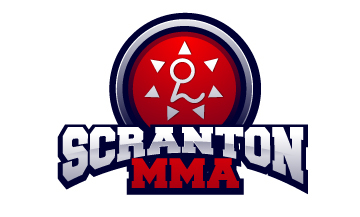 The video we will review was shot at Scranton Mixed Martial Arts and features two of our Instructors Jess Papi and Frank Alogna. Both are excellent instructors and do a great job of breaking down complex moves into the most basic movements so even brand new students can pick them up quickly. Both Frank and Jess are also very successful competitors and that level of commitment and drive is a great trait for any instructor to have. Frank attacks Jess by grabbing her around the waist from behind. Jess takes the Kimura grip. She does this by first grabbing Frank’s wrist with one hand and then her own wrist with her other hand. Jess then uses that strong grip to remove Frank’s grip from around her waist. She then circles around maintaining the Kimura grip and executes O Soto Gari. O Soto Gari is a very powerful throw / take down taught in our Judo program. In most self defense situations O Soto Gari is powerful enough to end the threat but for the purpose of this video Jess follows Frank to the ground. As Jess follows Frank to the ground she transitions to side control position. The whole time she has maintained the Kimura grip. She steps over Frank’s head with her top leg. She applies the Kimura by lifting Frank’s elbow off the ground. Now that is a long list of moves that seem very difficult to accomplish especially in a high stressed self defense situation but take a look at at the video and see how Jess is able to walk you through each phase. She also does each and every step in a very controlled manner because she has practiced and drilled this situation numerous times. Also since Jess has taught this move to so many new students she knows exactly what details to focus on and what mistakes to look out for. I hope you can see how a very detailed set of techniques can be broken down and taught in a very step by step fashion. This makes learning the techniques a lot of fun and also very easy for a new student. The most common fear among people when they are thinking about starting to learn martial arts is that they fear that they will not be able to learn or perform the techniques. That is one of the reasons why I wanted to share this video today because it takes a very complex series of techniques and breaks them down in a step by step fashion to a basic set of movements that anyone can learn.